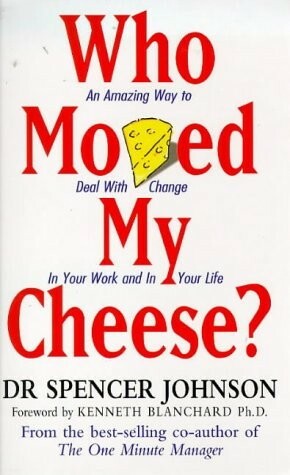 I am a big fan of inspirational books and “Who moved my cheese?”, written by Dr. Spencer Johnson, is one of my personal favourites. “Who moved my cheese?” is a small book that anyone can finish within a couple of hours. It is perfect for the beginners to get started and build their interest in books. The book captures the reader’s attention with its beautiful and eloquent pictures which successfully help to visualise the setting. The idea of being able to cope up with the unexpected changes of life is well illustrated by the author in a very endearing and amusing way. The story revolves around 2 humans, named Hem and Haw, and 2 mice, named Sniff and Scurry, who used to get enough “Cheese” to eat at a particular station of a maze. They were not bothered about life’s uncertainty. So one day their world came to a sudden pause when they did not find it at the usual place where they used to get it. The story will take you to an interesting tour when each of them took individual decisions for their survival. The cheese being the metaphor for what we want in life, whether it is love, job, health, spiritual space or even an activity like jogging or sports. “Maze” represents the space where you spend your life in looking for what you want. It can be the organisation you work in, society you live in or the relationship you share. It is a good book often recommended to professionals to find excellence and happiness at workplace. I was recommended too as well and no wonder it is a permanent member of my book shelf now.